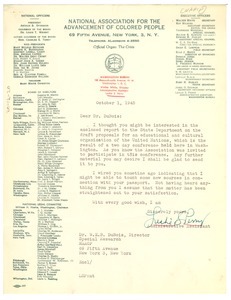 New York (N.Y.) - On behalf of W. E. B. 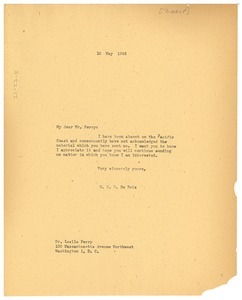 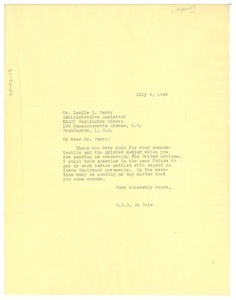 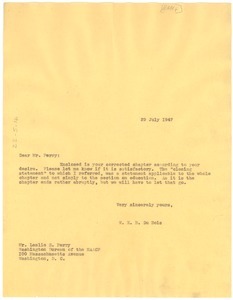 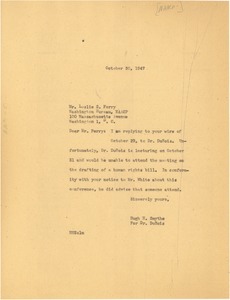 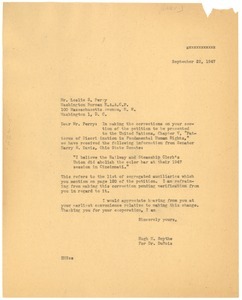 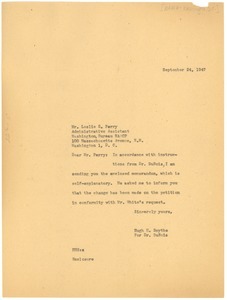 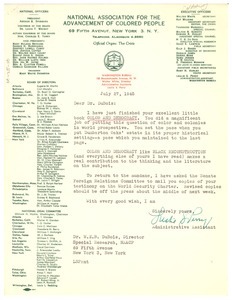 Du Bois, relaying a comment received by proofreaders on Perry's chapter of the NAACP's petition to the United Nations, and seeking his response thereto before making the indicated correction. 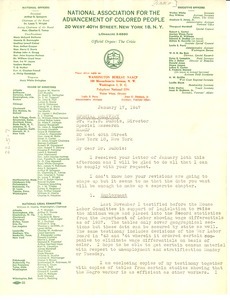 New York (N.Y.) - In accordance with W. E. B. 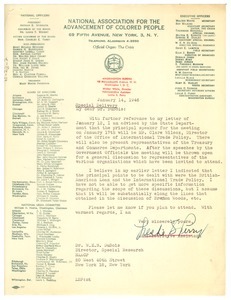 Du Bois's instructions, enclosing a "self-explanatory" memorandum and relaying that the NAACP's petition to the United Nations has been modified in compliance with Walter White's request.